UPDATE: Has Google blocked Windows Phone users from its maps.google.com site? While it might appear that way, it now seems that Internet Explorer never did support the site. But that still begs the question, why? And while no recent changes were made to block Windows Phone users from the Google Maps web site, the latter has worked on WebKit enabled browsers, not Internet Explorer. If no changes were made, and Google has blocked Windows Phone users from using its applications like YouTube, it still could be due to hard feelings between the two companies. So instead of saying that Google blocked Windows Phone from maps.google.com, perhaps the more accurate way to portray what happened is to say that Google is not supporting Windows Phone for its apps. Google already has been preventing Windows Phone users from having the ability to experience the apps that Google has to offer Android and iOS users. Take YouTube. The video streaming site has a native app available for iOS and Android devices while those using Windows Phone must turn to a third party app like MetroTube or use the mobile YouTube website. Google now has ratcheted things up to the next level by blocking Windows Phone 7.8 and Windows Phone 8 users from using the browser on their phone to access maps.google.com. Even if your phone is set up in desktop mode, those trying to go to the maps.google.com web site will be redirected to Google's mobile search page. What is weird is that over in the U.K., maps.google.co.uk still works. As tough as the Microsoft-Google rivalry is, the Apple-Samsung one might be even more venomous. Still, we wonder if Google has shoot itself in the foot by not allowing an entire platform to access its work. Google isn't blocking WP8 from accessing mobile maps. Google Maps mobile has never supported Internet Explorer, and is designed for Webkit-based browsers (aka almost every other mobile browser available). I've e-mailed Alan to edit this post, but I just wanted to put this info here since people are obviously going to go nuts on this post. ok thats cool. I was just saying cause you know how M$ doesn't want to compete because they don't have enough app support for their WP8 OS and their trying to BAN or get money from Android. And i wish you Michael can tell your other journalist collegue could tell them not to post any BAD OR stupid patent articles. But still, BS for google for not supporting WP. wow, that's like apple with google maps, on the opposite way. They could get more lawsuit doing this, I guess. Antitrust, again? Antitrust? when someone keep take you to court, buy android problem solve. This is a good question? Whats so different about the UK? As you can see in the video, the UK site is not the version of Maps designed for mobile, it's the desktop site coming through. Mobile Google Maps doesn't support IE, desktop does. Why not at least use a wp8 handset before spreading misinformation? Huh, Michael? That would be a change; you commenting in an informed correct way. http://www.windowsphone.com/en-us/store/top-free-apps Clearly seeing that YouTube app now, Michael? Sigh. OOHHHH..... Nothing to see here, move along folks....lol. and yet maps.google.co.uk worked without a problem (for a short while anyhow. google is indeed blocking access to its map servers in some form, which I find rather amusing given both Nokia Maps and Bing Maps are very competent alternatives. Perhaps google should be more worried about the trend back to Internet Explorer.... Oh wait they are, which is precisely why they're trying to pull this type of s**t.
1. 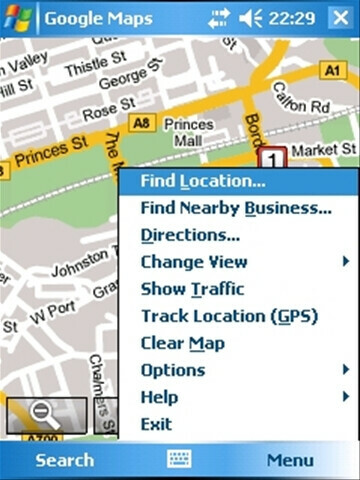 If Bing and Nokia Maps are good alternatives, whats the problem? This isnt like Apple Maps vs Google Maps. For Google to give up ad revenue it has to be something they feel is important enough to do IF they really are blocking it. Maybe they see it as a waste because those 2 are good alternatives. What I find funny is some WP users are upset.....even with those two good alternatives.... 2. I dont think Google is worried about a trend back to IE.. I installed IE9 and if anything Google should feel flattered... lol. And many ppl still use FF. Opera is a good browser. I would use either of them as a main browser before IE on desktops. I only use IE for compatibility checks....like if I have login problems on FF i try it on IE. Everyone is pointing fingers at Google. How do we know that Microsoft DID NOT RIG this DRAMA in the first place? How do we know that this is RETALIATION from Google themselves? Google could be a victim of Microsoft framing them up to cause an uproar thereby creating BAD PUBLICITY for Google and GOOD PUBLICITY for Microsoft. Microsoft as an underdog? Bah, bad taste in the mouth, *PWEH* You got it coming, Microsoft. You made your bed now lie on it. Just desserts. Have your cake and eat it, too. Poor Steelicon...still bitter that Nokia dumped Symbian. Thank you Michael, I'm sure he deleted your email; because he dislike everything Google. so u r saying pa didn't do that intentionally..? I think what happened there is the desktop version loaded...thanks for this post. Like I mentioned before...did anyone try to see if the desktop version worked on WP for maps.google.com, ike it did with that uk url? In other words, Michael, Google is incompetent? You see, Google Maps had been working on WP since 2010; it took Google over two years to 'realize' that they weren't supposed to support mobile I.E.? Perfect timing, given their protestations of not supporting WP products. Yes, incompetent; or just vindictive. I'd wager, both. IE 10 does support Webkit, Google is afraid of the current raising of the WP marketshare. This is an amazing story thats out now....lol: https://groups.google.com/forum/?fromgroups=#!topic/google-maps-js-api-v3/LnNdE0fJkAo Thats from 2010...key words in your post Michael: mobile...mobile... I wonder how many ppl will even bother to even read it. Google Maps....mobile..........was never supported in IE....mobile.... Mobile.....WOW. And IE 10 just came out....All I will say Michael is keep doing what you do. Bringing us as unbiased as possible opinions and views of Android, iOS, WP, etc. I dont wanna say anymore and risk a ban...lol. Some people are talking about anti trust: Office is a monopoly, but MS don't release a full version to Android, should MS be fined for that? And nobody ever talked anything about Instagram dropping Tweeter either. That doesn't sound Googley why would they do that the more devices that use google apps the more ad rev they get sounds like they are shooting themselves in the foot I would expect something like this from Apple or MS but not Google. I'm with you, not expecting some actions Google is taking against Windows users, some dirty actions from a fantastic company. If they start to think that most (if not all) of Google apps are made in a Windows PC... sad if they don’t want to support windows platform anymore as they stated before.